Welcome to our product page. Please fill out the requested information to receive a free PDF of the current Virtual Discussion and other free material to select from. Complete form here. 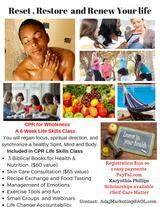 This is an interactive bible study to assist you in embarking on a journey of self-care. We will discuss at our meetings your journey of rest. This study will be in our zoom classroom. I am excited about what God is planning for all of us. The book serves as a textbook/workbook. $20.00 plus $2.50 S&H. 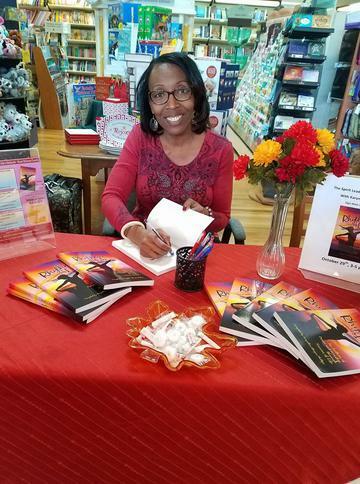 Book is available for purchase beginning March 26, 2018. A valuable resource during any season of life. More than a devotional...reflective readings in various literary styles such as poems, plays and essays. If you have been struggling with your relationship with God, this 21-day experience with Him will clue you in on all you need to know about getting into His presence. You will learn His character and what His will is for your life. This book will help you realize that you can know God for yourself. Prayerfully, the idea of knowing Him and getting into a worship mode will no longer be a problem when applied. Beauty is deeper than looks. 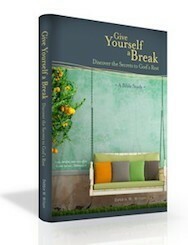 Teach your young girls to pursue the presence of God in Quiet Time - a 21 day devotional with journaling experience. Straight talk with God for young men. 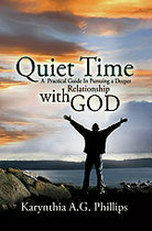 A 21-day retreat in pursuit of His presence in "Quiet Time". It is comprised of devotional readings, scripture meditations, encouragement to enter prayer and praise. There is also a journal available, which gives the freedom to reflect and review previous readings, sermons, or Bible studies. Music by Nia Allen, bible study, journaling experience and discussion starts.